One of the most beautiful things about living the sustainable life is that fresh, nutritious food is always at our fingertips! Fresh eggs and herbs, fruits and vegetables that we’ve preserved and fresh bread that we make for our family. 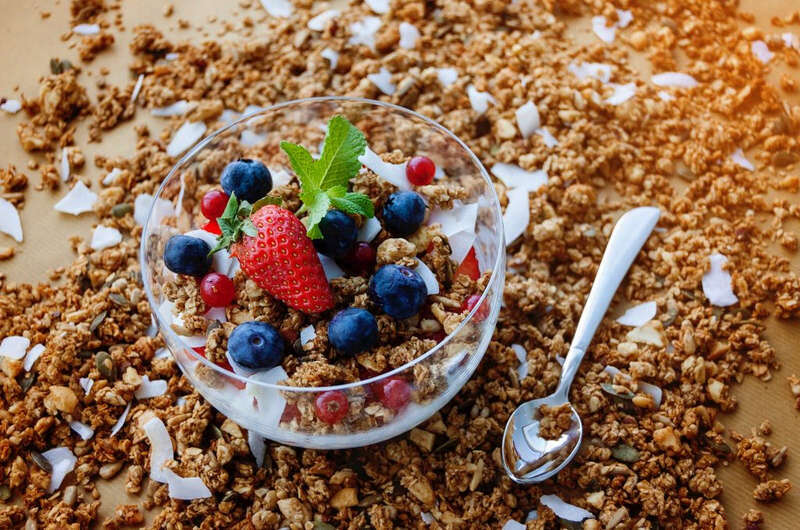 Who in the world would settle for cold cereal from a box? So, here’s 7 Homestead Breakfast Ideas. What I really love about these recipes is that they aren’t really recipes…they’re more of a formula. This allows you to use what you have on hand, if at all possible. Be creative and switch things up, there’s no perfect way to do any of these. Check out my Pinterest board for even more ideas! I mean, what’s better than farm fresh eggs? We just about always have an abundance of eggs around, even in the winter time! (Due to preserving eggs by this method!) Scramble them, fry them, boil them but just eat those beautiful eggs! Basically, just scramble the eggs and then put 2 eggs worth down the center of the tortilla, then sprinkle with the cheese, add meat if you have it. See how easy this is? You can be really creative with these, add salsa, veggies, sour cream, whatever your little heart desires. What’s great about these is that they freeze wonderfully! Just line them up on a cookie sheet, flash freeze (until they’re stiff) and put in a freezer bag and in the freezer. 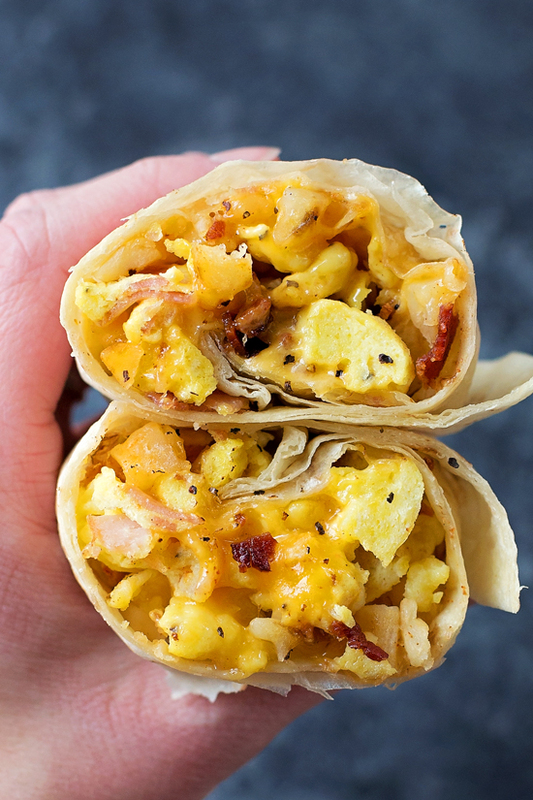 Warm them up during the week for a quick breakfast! Life Made Simple Bakes has more great ideas here! You can add about 1/4 cup of dried fruit like raisins, cranberries, blueberries, whatever you enjoy! You can also add 1/4-1/2 cup of nuts, like sliced almonds, walnuts, sunflowers, etc. Mix the dry together in a large bowl. Melt your oil, if necessary to be liquid, mix with sweetener and pour over dry mixture. Blend well. Put mixture on cookie sheets, spreading evenly and bake at 300 degrees for 45 minutes, stirring every 15 minutes. Enjoy! 1 tbsp vanilla I add more! Toss all the dry ingredients together in large bowl. Wisk the wet ingredients together then stir into dry ingredients. Make sure all of the oats are moistened. Spread onto cookie sheet, bake for 45 minutes, turning every 15 minutes. This will keep in an airtight container for about 3 weeks and will freeze for 3 months. These are an awesome option for kids trying to run out the door to catch a ride to school! 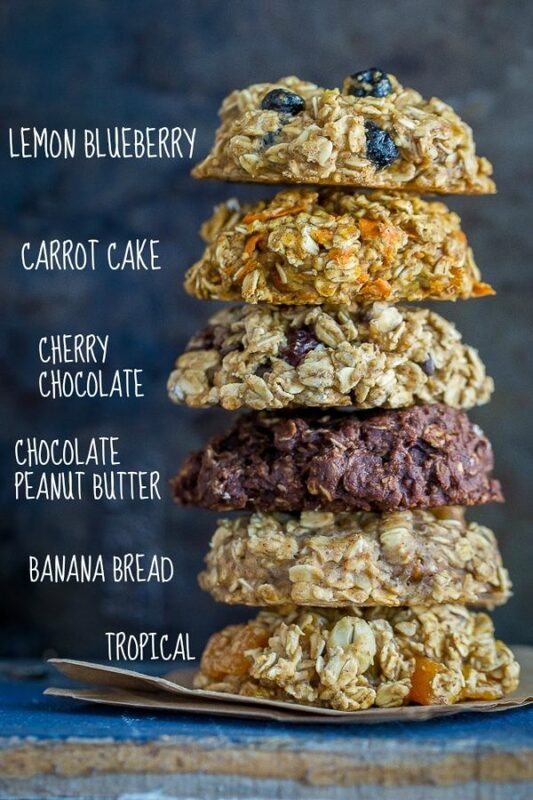 “She Likes Food” has 6 great recipes for Breakfast Cookies! I’m definitely making these before school starts again! Layer in a mason jar, starting with oats on the bottom. You can add fruits and other flavors to your heart’s content, see my Pinterest board here! 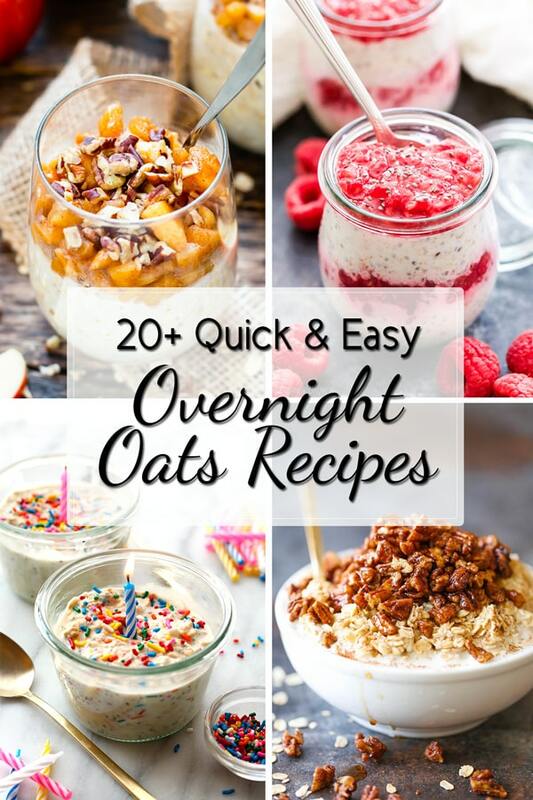 Evolving Table has some fabulous recipes for overnight oats, check them out! Yum! Smoothies are just fabulous, too! I can sneak all kinds of things in them and only taste the fruit! Love, love, love! Again, I’m a formula girl, so feel free to add anything else you want! All you need is a decent blender. I freeze fruit all summer long just for this! Catch fruit on sale at the store when it’s at a rock bottom price, bring it home and freeze! Liquid: 2 cups of juice, milk, yogurt or water. You need 2 cups of liquid to make it blend properly. Solids: 1 cup or so of fresh or frozen fruit. I use about a cup of fruit and one banana. A combination of fresh and frozen works nicely. If you only have fresh, then add some ice. Muffins are so easy to make, you can have them in the oven in just a matter of minutes. Here’s one of our family favs, it works well as a quick bread or muffins, just adjust baking time. 1 tbsp vanilla or more! Mix this together well, then add dry ingredients. Blend well, but don't overmix. For muffins: Pour into well-greased muffin tins 2/3 full, bake at 350 for about 25 minutes. For loaf: Pour into 4 well-greased loaf pans, 2/3 full and bake for about 45 minutes at 350, check to see if done, could take up to 60 minutes. Bread isn’t that hard to make, and once you get the hang of it, you won’t just want it for breakfast, you’ll be making it all the time! 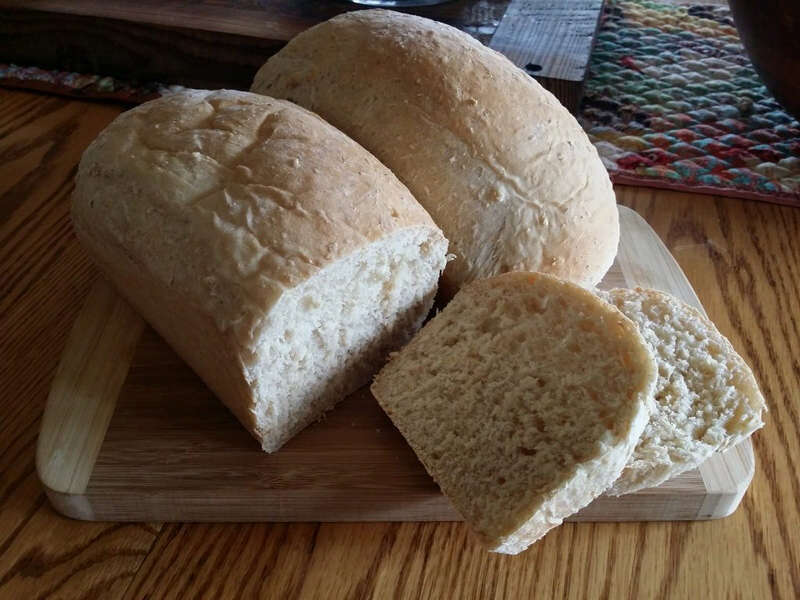 Check out “How to Make a Great Loaf of Bread” here. There’s no right or wrong way to do this, just try something! For more inspiration, check out my “Homestead Breakfast” board on Pinterest! I have a fun “Coffee Addiction” board too if you’re interested! Couldn’t agree with you more about getting rid of the box cereal. Love your ideas. Found you on Simple Homestead Blog Hop. Hi Candy! Thanks for reading and commenting! Love all these ideas! I’m making notes and pinning for future reference. Thank you! Hi Linda! Thanks for reading and pinning! !